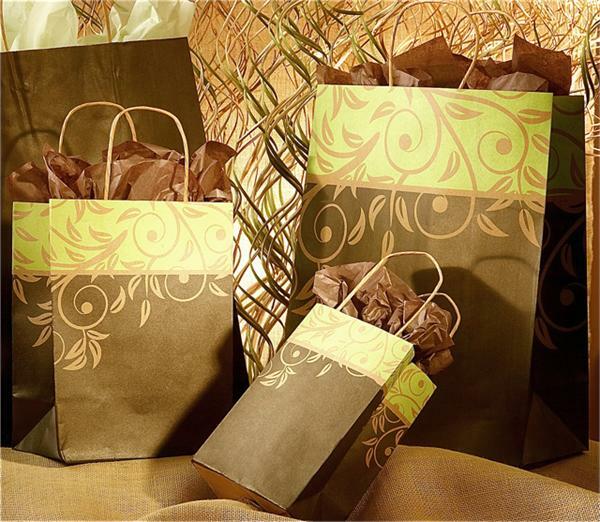 Paper twisted handled, traditional shopping bag. 100% recycled kraft base paper with Antiqua pattern. Available in 3 sizes. 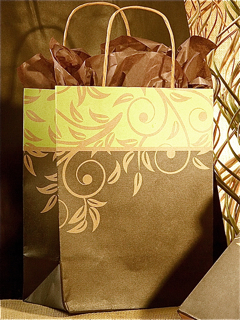 Please email Support@ShoppingBags.com for details about adding your logo or design to this bag.